Three weeks out, Prez calls and says, “Let’s do it homes”. Frantically, I spend days and nights on the phone to book a flight (seven in fact), a car, a studio, an engineer and get myself from Melbourne, Australia to St Louis MO. Wow! I’ve done it, it’s booked. My friends organise a quick fundraiser to help with my financial situation. Thirty two hours in transit and then learning to drive on the opposite side of the road, I hit a curb and blow a tyre. The next three hours after midnight were spent driving around on the rim, meeting locals who knew less about getting the wheel brace apart from the jack than I did. For $10, a guy in his boxers, singlet, cigarette, socks and thongs sorted me out. This is the USA’s most dangerous city. I needed sleep. 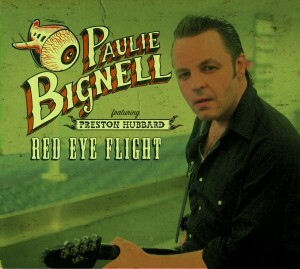 Red eyed and with just a change of clothes, I bang on Preston Hubbard’s door. “Where you been homes?” Cold beer and warm hospitality. It’s on, I’m here! In the studio, Paulie, hollerin’, barkin’ and moaning, stompin’ his feet and yelling at the mic like there’s no tomorrow. Bangin’ on his guitar, buzzin’ around and twisting notes that’ll sting ya. The St Louis Two – Preston Hubbard, low slung ’52 P Bass, shorts and socks, slipping all over the Brazilian hard wood floor, “Hold it down Joe, I’m gonna get all over it.” Joe Meyer, the St Louis hot shot stick man. Shuffle? “You wait Paulie”, he pins it down and swings it right off da hinges. Two days hanging and two days recording, then home. 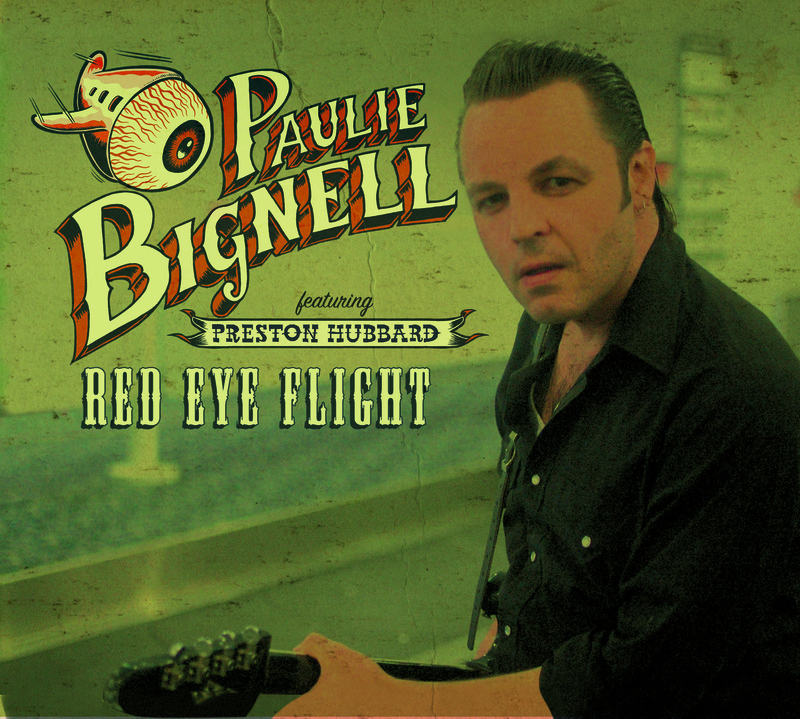 It’s rock’n’roll, it’s blues and it’s kinda country…but it’s all done Paulie style. Welcome aboard everybody, it’s a red eye flight – let’s go for a ride!